"My name is Cathy Hunt, one of the Principal Producers of the WOW Festival 2018 – Celebrating Women of the Commonwealth. I first met Zillah (who runs this campaign) at one of our recent WOW ‘Think In’ community consultation events. Zillah’s passion, enthusiasm and commitment to improve the health of young girls and women in the Solomon Islands greatly impressed me and I knew instantly that the WOW team would support her campaign. We first heard about this issue in 2016 when we met with Kirsty Sword Gusmao from Timor Leste. 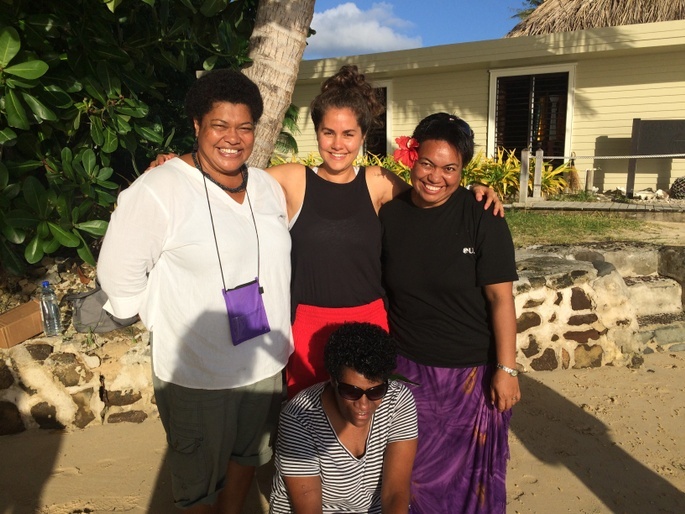 In Australia, we are largely unaware of the restrictions of the imposition of menstruation on young women and girls of the Pacific region and how this impacts their education, independence and life opportunities. Zillah’s work with Loloma Foundation and Kaleko Steifree aligns perfectly with of the sprit and philosophy underpinning WOW Festival 2018 - her story is the kind of story presented at WOW festivals. We are very keen to involve Zillah in WOW in some way. It is essential to raise awareness of this critical issue and its impact - it is also affecting young girls and women in rural and remote Aboriginal communities here in Australia. With WOW Festival 2018 we have the unique opportunity in Brisbane next year (6 – 8 April 2018, Brisbane Powerhouse, part of the Commonwealth Games Cultural Program) to connect with women of the Commonwealth through this significant high-profile international event which will be uplifting, challenging, inclusive and uniting. Motivate women and girls to make changes to their lives; build the confidence that they can do this and introduce them to a new set of skills to assist in that process. Leave a legacy of women and girls, boys and men across the Commonwealth, empowered to make life better for themselves, their families and communities.